Topshop offers quality clothing, shoes and accessories at incredible prices in all kinds of styles and sizes. Looking for a new outfit or searching for the perfect accessory from Topshop is a lot harder if you are limited on time or have none of their shops nearby. Instead of making long journeys or rushing your shopping, let our app take care of everything. Pinga makes buying the Topshop clothing of your dreams easy, thanks to how quick and simple using the app is. Searching the perfect blazer for your work look or wishing for a new pair of shoes to show off at the next party? We have got you covered.To get started you just need to download the app to your phone. Then, send your order request to our trusted network of Pinga Partners who will take care of everything from there. They will clarify every detail with you to make sure it’s correct and then all you have left to do is pay for the products via the app. Every payment is completely safe and before you know it, you’ll be able to wear your new Topshop clothing! Buying something with Pinga is even easier than shopping online, as you are under no obligation of meeting a minimum order amount. Only looking to get a new bag that matches your outfit? Pinga lets you place an order just for that, without pushing you to buy extra products you don’t need.Get started today, enjoy a stress free shopping experience and let our trusted team of Pinga Partners take care of everything. Your new shoes will safely arrive to your door in no time. Find out below how the app works and enjoy your next Topshop delivery! Pinga delivers any items from Topshop today. 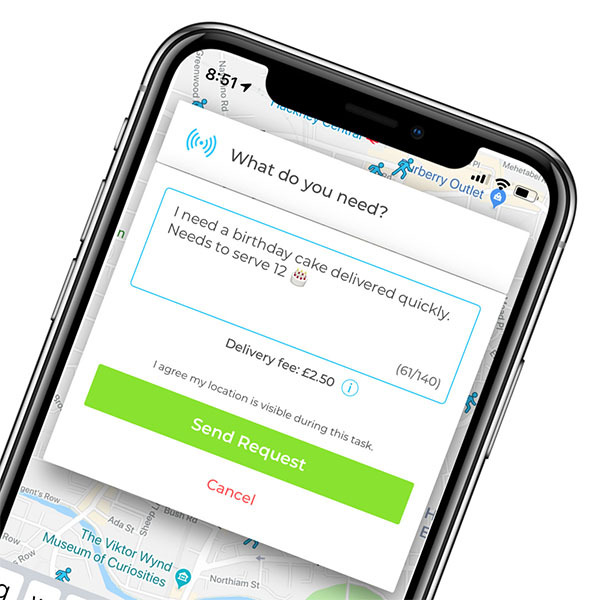 Infact our service normally delivers within an hour, so if you’re looking for same day delivers from Topshop, send your request via the Pinga App. Describe what items you needs to be delivered from Topshop and send your request. Pay securely within the app and receive your Topshop items to your door!